To Cite: Moshtaghi N M, Khoshnevis J, Khayamzadeh M, Shormeij Z, Akbari M E. Overall Survival and Complications of Thyroidectomy in Patients with Thyroid Cancer, Int J Cancer Manag. 2017 ; 10(11):e10931. doi: 10.5812/ijcm.10931. Background: Recognizing complications, survival rates, and contributing factors would result in better diseases control in patients with thyroid cancer under thyroidectomy. Accordingly, this study was performed to determine the overall survival and complications in patients with thyroid cancer under thyroidectomy procedure. Methods: In this retrospective, 100 patients with thyroid cancer under thyroidectomy, who were admitted in the affiliated centers of cancer research centers at Shahid Beheshti University of Medical Sciences in recent 5 years from summer 2011 to summer 2016, were enrolled. Data collection was done by census sampling and the required data were collected via existing medical documents and were recorded by checklist from April 2016 to February 2017. Results: Thyroidectomy was total in 97% of the patients, and 3 were under subtotal thyroidectomy (two patients had anaplastic and 1 had micro papillary carcinoma). Twenty-four patients (24%) had some side effects, including no permanent nerve injury but transient nerve injury (Hoarseness) (14%), organ pressure due to hematoma (4%) and tracheal rupture (1%), and transient hypocalcaemia (5%). The recurrence and death were seen in 5% and 3%. The recurrence was related to side effects, but it was not related to death (P > 0.05). Conclusions: We studied overall survival and complications of thyroidectomy in 100 patients with thyroid cancer from summer 2011 to summer 2016 and compared them with statistics on the articles. Thyroidectomy completion is an important procedure in the treatment of a malignant thyroid tumor because of the high rate of contralateral involvement (23.8%). It is a procedure with zero mortality and very low complication rate, not bearing relevant risks. Totally, according to the obtained results in current study, it may be concluded that thyroidectomy complications are seen in 1 out of 20 patients, especially neck hematoma (4%) and tracheal rupture (1%). The survival in current study is good. Thyroid cancer is the most common type of cancer in the endocrine system, representing 4% of all new cancer cases and is the 8th most common malignancy in the world with age standardized rate (ASR) about 6.1, 1.9, and 4 per 100000 in females, males, and both genders, respectively in 2012. The ASR of mentioned cancer was 4.6 in Middle East, 3 in less developed countries, and 7.4 in more developed regions (1). Based on the data from national cancer registry, thyroid cancer is the 6th most frequent cancer in females with (ASR) about 4.20/100000 and also 1.36/100000 in Iranian males (2). In the United States, the 5-year relative survival rate of this cancer was estimated 96.2%, 92%, and 97.6% in males, and females, respectively (3). Moreover, in a national study carried out on 602 patients with thyroid cancer all over the country in 2006, 5-year overall survival was reported as 83% and 91% in men and women. Also, the highest number of patients was in the age group, which was under 30 years old. The best survival was old seen in groups under 40 years old and the worst group for survival rate was group over 60 years. The best survival was in south-west (Khuzestan) and the worst in northwest (Azerbaijan) (4). Thyroid cancer types range from indolent localized papillary cancers to lethal fulminant and the anaplastic diseases. Quality of life is even decreased in patients with well-differentiated thyroid carcinoma. It may be improved after treatment with either medical or surgical modalities. We studied overall survival and complications of thyroidectomy in 100 patients with thyroid cancer from summer 2011 to summer 2016 and compared them with statistics on the articles. In this retrospective cohort study, 100 patients with thyroid cancer under thyroidectomy admitted to the affiliated centers to cancer research center of Shahid Beheshti University of Medical Sciences in recent 5 years from summer 2011 to summer 2016 were enrolled. Data collection was done by census sampling and the required data were collected via existing medical documents and were recorded by checklist from April 2016 to February 2017. This research was approved by ethics committee of Shahid Beheshti University of Medical Sciences. Under study variables were age, gender, tumor size, involvement side, lymphatic involvement, capsule invasion, tumor type, death, side effects, recurrence, thyroidectomy, and the survival duration. Those with incomplete data, especially patients with unknown outcome, were excluded. Thyroidectomies were performed by a standard technique of extra capsular dissection. The total thyroidectomy technique involved the removal of the entire gland, while in subtotal, 25% of both lobes was left intact. We routinely avoided sharp instruments while tracing the nerve by using the brush technique. After the identification of the recurrent laryngeal nerves (RLN), it was routinely traced till its entry to cricothyroid membrane. Superior and inferior thyroid vessels were ligated close to the gland and every attempt was made to identify and preserve the parathyroid glands and their blood supply. Wound was closed in layers and hemobag was used as a drain. In the absence of any collection, the drain was removed on an average 2nd post-operative day and the patient was discharged on the 3rd day and was asked to report after 7 days for removal of the sutures. All surgical specimens were routinely subjected to histopathology. Postoperative serum calcium levels were estimated routinely after 48 hours of surgery and, then, subsequently as required. An assessment of symptom relief, RLN injury, transient hypocalcaemia, and permanent hypoparathyroidism was noted. The post-operative hypocalcaemia was defined as a serum calcium level less than 8.2 mg/dL (normal range 8.2 - 10.1 mg/dL) in our laboratory. Hormonal replacement therapy was started post-operatively. Data analysis was performed by SPSS (version 18.0) software (statistical procedures for social sciences; Chicago, Illinois, USA). Pearson regression, Fisher, Chi-Square, Kaplan-Meier, Independent-Sample-T, and ANOVA tests were used, and P values less than 0.05 were considered statistically significant. The mean age was 43.98 ± 14.3, ranging from 20 to 83 years. Of all 100 subjects in this study, 19 patients (19%) were male and 81 patients (81%) were female. The mean lesion size was 2.6 ± 2.01, ranging from 0.1 cm (papillary carcinoma) to 13 cm (papillary carcinoma). The lesion was right-sided, left-sided, and bilateral in 62 patients (62%), 32 subjects (32%), and 6 cases (6%), respectively. The lesion was passed through the capsule in 13 patients (13%). The tumor was papillary, medullary, follicular, and anaplastic in 86%, 7%, 5%, and 2%, of the patients, respectively. Lymphatic involvement was seen in 34 patients (34%), all of whom were papillary. Thyroidectomy was total in 97% of the patients, and 3 were under subtotal thyroidectomy (two patients had anaplastic and 1 had micro papillary carcinoma). Twenty-four patients had some side effects (Table 1). The recurrence (all in lymph nodes) and death were seen in 5% and 3% of the patients. The related factors for side effects are presented in Table 2. Side effects were significantly related to recurrence surgery (Table 2). The older age (64.7 versus 43.3 years; P = 0.010) and larger size (7 versus 2.6 centimeter; P = 0.028) were related to death. The Kaplan-Mayer overall survival curve of thyroid cancer is depicted in Figure 1. According to the obtained results in current study, it may be concluded that thyroidectomy complications are seen in 1 out of 20 patients, especially transient recurrent laryngeal nerve injury (hoarseness), neck hematoma and tracheal rupture, and transient hypocalcaemia. The survival is relatively good. In the United States, thyroid cancer accounts for < 1% of all malignancies (2% of women and 0.5% of men) and it is the most rapidly increasing cancer in women. Thyroid cancer is responsible for 6 deaths per million persons annually (5). Most authors agree that patients with high risk tumors or bilateral tumors should undergo total or near-total thyroidectomy. The optimal surgical strategy in the majority of patients with low-risk (small, unilateral) cancers was controversial for many years, with the focus of the debate centering around outcome data and risks associated with extent of thyroidectomy in this group of patients (6, 7). Nerves, parathyroid, and surrounding structures are all at risk of injury during thyroidectomy. Injury to the RLN may occur by severance, ligation, or traction, but it should occur in < 1% of patients undergoing thyroidectomy by experienced surgeons (8, 9). Transient hypocalcemia (from surgical injury or inadvertent removal of parathyroid tissue) has been reported in up to 50% of cases, but permanent hypoparathyroidism occurs in < 2% of the time. Post-operative hematomas or bleeding may also complicate thyroidectomies and rarely necessitate emergency reoperation to evacuate the hematoma. Bilateral vocal cord dysfunction with airway compromises requires immediate reintubation and tracheostomy. Seromas may need aspiration to relieve patient discomfort (7). Wound cellulitis and infection and injury to surrounding structures, such as the carotid artery, jugular vein, trachea, and esophagus are infrequent (10). In our study, 24 patients (24%) had some side effects, including no permanent nerve injury but transient nerve injury (Hoarsness) (14%), organ pressure due to hematoma (2%) and tracheal rupture (1%), and transient hypocalcaemia (5%). The recurrence and death were seen in 5% and 3% of the patients. Three patients who died were female, 2 had anaplastic and 1 papillary thyroid cancer. All these 3 tumors were larger than 8 cm. The mean age of the dead patients was 61.6 years. The recurrence was related to side effects, but it was not related to death (P > 0.05). As shown by Rosato et al., the greater incidence rate of complications with total thyroidectomy is mainly related to the greater incidence of transient hypocalcemia and to a lesser extent to the slightly higher incidence of hypocalcemia, whereas the incidence of recurrent laryngeal nerve injuries is very similar in total and subtotal thyroidectomy (11). A study by Osmolski et al. as well as our study revealed that hypoparathyroidism and transient recurrent laryngeal nerve injury are the most common complications after thyroid surgery (12). The results of study conducted by Bilimoria et al. demonstrated that total thyroidectomy resulted in lower recurrence rates and improved survival compared with lobectomy. This matter is not in congruence with our study (13). Adam et al. reported that thyroid cancer size is not associated with survival after thyroidectomy (14). Our study again showed opposite results. However, the age is another related factor affecting this association, and total thyroidectomy compared with thyroid lobectomy is not associated with improved survival for patients younger than 55 years (15). The fear of multi-centric foci should be included among the reasons for routinely performing a total thyroidectomy in patients with thyroid carcinoma. The rates of thyroidectomy complications have been reduced by improvements in surgical technique and the experience of specialized centers. Nevertheless, temporary paresis of the recurrent nerve and hypoparathyroidism are the main complications in patients treated with total thyroidectomy. Thus, when comparing complications in the groups who underwent primary total thyroidectomy versus total thyroidectomy as a secondary procedure for a well-differentiated thyroid carcinoma, no significant difference was noted, except for a transient recurrent paresis, which occurred more often in the second group. Further studies with larger sample size and multi-center sampling would develop further documents to attain better survival and quality of life. Authors would like to thank the staff at centers affiliated to the Shahid Beheshti cancer research center. 1. IARC Cancer Base . GLOBOCAN project, estimates cancer incidence, mortality and prevalence worldwide in 2012. Lyon, France: International Agency for Research on Cancer; 2017, [cited Published online 9 October 2014]. Available from: http://globocan.iarc.fr. 2. Centre for Disease Control and Prevention . Iranian annual cancer registration report, 2007 Tehran, Iran, centre for disease control and prevention, no communicable deputy. Cancer Office, Ministry of Health and Medical Education, Tehran, Iran: Cancer Office, Ministry of Health and Medical Education; 2009. 3. National Cancer Institute . Surveillance, epidemiology, and end results (SEER) program, SEER stat database. Maryland: National Cancer Institute; 2017. Available from: http://www.seer.cancer.gov. 4. Khayamzadeh M, Khayamzadeh M, Tadayon N, Salmanian R, Zham H, Razzaghi Z, et al. Survival of thyroid cancer and social determinants in Iran, 2001-2005. Asian Pac J Cancer Prev. 2011;12(1):95-8. [PubMed: 21517238]. 5. Nguyen QT, Lee EJ, Huang MG, Park YI, Khullar A, Plodkowski RA. Diagnosis and treatment of patients with thyroid cancer. Am Health Drug Benefits. 2015;8(1):30-40. [PubMed: 25964831]. 6. Xing M. Molecular pathogenesis and mechanisms of thyroid cancer. Nat Rev Cancer. 2013;13(3):184-99. doi: 10.1038/nrc3431. [PubMed: 23429735]. 7. Sherman SI. Thyroid carcinoma. Lancet. 2003;361(9356):501-11. [PubMed: 12583960]. 8. Dagan T, Bedrin L, Horowitz Z, Chaushu G, Wolf M, Kronenberg J, et al. Quality of life of well-differentiated thyroid carcinoma patients. J Laryngol Otol. 2004;118(7):537-42. doi: 10.1258/0022215041615137. [PubMed: 15318961]. 9. Almeida JP, Vartanian JG, Kowalski LP. Clinical predictors of quality of life in patients with initial differentiated thyroid cancers. Arch Otolaryngol Head Neck Surg. 2009;135(4):342-6. doi: 10.1001/archoto.2009.16. [PubMed: 19380354]. 10. Huang SM, Lee CH, Chien LY, Liu HE, Tai CJ. Postoperative quality of life among patients with thyroid cancer. J Adv Nurs. 2004;47(5):492-9. doi: 10.1111/j.1365-2648.2004.03128.x. [PubMed: 15312112]. 11. Rosato L, Avenia N, De Palma M, Gulino G, Nasi PG, Pezzullo L. [Complications of total thyroidectomy: incidence, prevention and treatment]. Chir Ital. 2002;54(5):635-42. [PubMed: 12469460]. 12. Osmolski A, Frenkiel Z, Osmolski R. [Complications in surgical treatment of thyroid diseases]. Otolaryngol Pol. 2006;60(2):165-70. [PubMed: 16903331]. 13. Bilimoria KY, Bentrem DJ, Ko CY, Stewart AK, Winchester DP, Talamonti MS, et al. 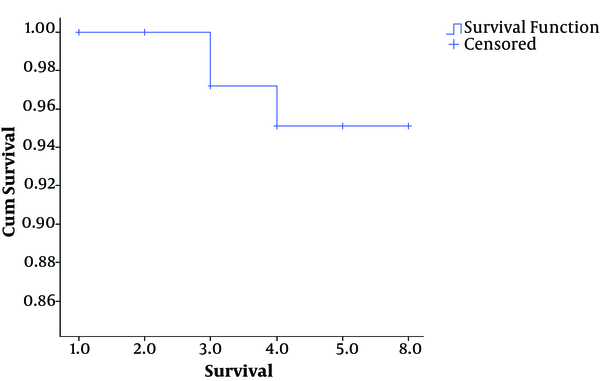 Extent of surgery affects survival for papillary thyroid cancer. Ann Surg. 2007;246(3):375-81. doi: 10.1097/SLA.0b013e31814697d9. [PubMed: 17717441]. 14. Adam MA, Pura J, Gu L, Dinan MA, Tyler DS, Reed SD, et al. Extent of surgery for papillary thyroid cancer is not associated with survival: an analysis of 61,775 patients. Ann Surg. 2014;260(4):601-5. doi: 10.1097/SLA.0000000000000925. [PubMed: 25203876]. 15. Adam MA, Pura J, Goffredo P, Dinan MA, Hyslop T, Reed SD, et al. Impact of extent of surgery on survival for papillary thyroid cancer patients younger than 45 years. J Clin Endocrinol Metab. 2015;100(1):115-21. doi: 10.1210/jc.2014-3039. [PubMed: 25337927].